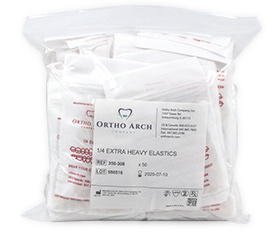 Intraoral Class II Elastics All latex elastics lose approximately ½ of an ounce of force after just a few pulls, which is why we have made our elastics ½ of an ounce higher than most companies so that you get a true 2 oz., 4 oz., and 6 oz. Force for a longer period of time. 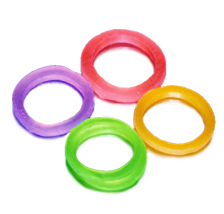 These are non-latex elastics. 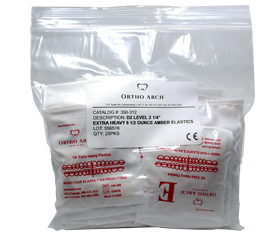 Does not stain and are ideal with the latex sensative patients. 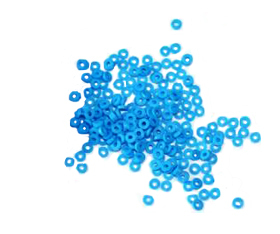 They are 100% synthetic, sulfur free, non-absorbent to water, odorless, tasteless and more consistent long lasting gram force elasticity over regular elastics. 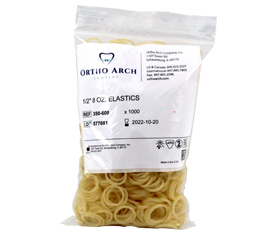 50 bags of 100 elastics per package (5,000). 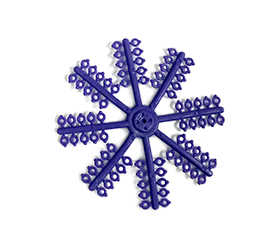 This handy tool is to assist patients in the placement and removal of elastics. 100 per package. 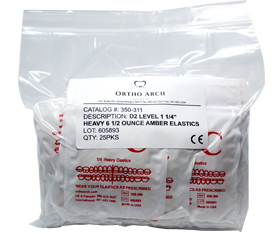 Strong elastic tubing that will fit over achwires or small springs to prevent irritation. Accommodates wire up to .025 diameter. 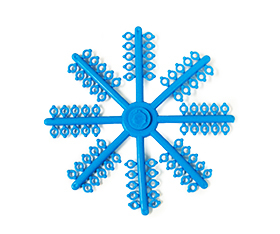 Tubing that holds knots better. 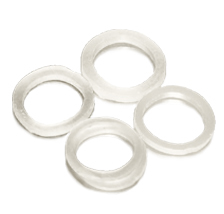 Solid tubing that offers greater force. Available in 25 ft. spools. 100 grey or clear wedges per package. 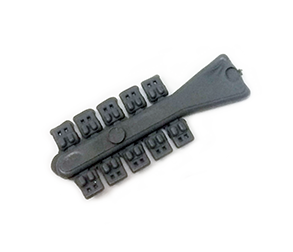 These separators are radio opaque and made from elastomeric material. 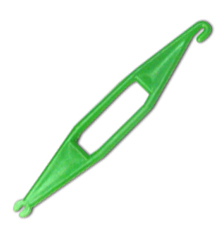 They are designed to separate teeth more rapidly due to it’s faster recovery and are easily placed with the Deluxe Separating Plier. 1000 per package. 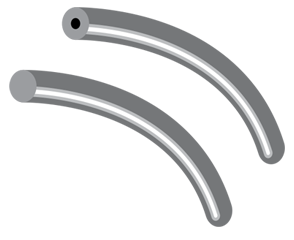 A separating module piece that has been designed to have two raised knobs which prevent the separator from going subgingival. Easily being stretched and put into place. 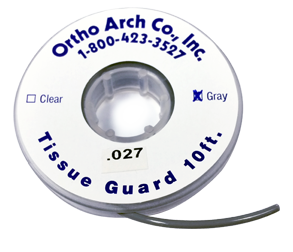 In time the result being a desired space between teeth to insert a band or crown. 480 Modules (6 stars).